As the governor tries to clarify his Gestapo remark, he stirs up more controversy by saying under the health care law, the IRS is headed in the direction of killing people. Gov. Paul LePage on Thursday attempted to clarify his recent comment comparing the Internal Revenue Service to the Gestapo during a fundraiser in Vermont. However, the governor may instead have reignited a controversy that has made national headlines. During an interview with a reporter from the Burlington weekly Seven Days, LePage said the IRS wasn’t as bad as the Gestapo, the Nazi police force that imprisoned and murdered millions of Jews during World War II, but the agency was headed in that direction. 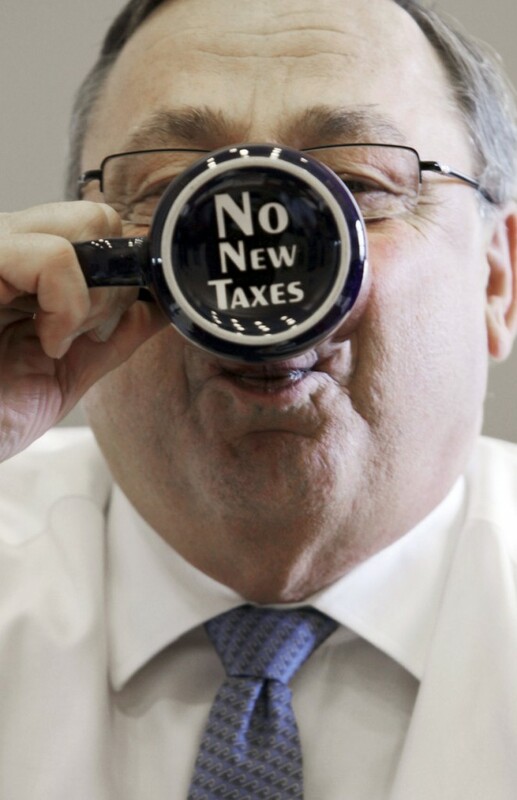 LePage first compared the IRS to the Gestapo on Saturday during his weekly radio address. He later backtracked on the comments, following an outcry from Jewish and other groups. The head of the IRS workers union also demanded an apology, saying such rhetoric could endanger employees. LePage’s most recent remarks came Thursday, at a fundraiser for Vermont GOP gubernatorial candidate Randy Brock. Bennett said LePage’s chief concern is that health care might be rationed under the law. LePage did not mean to keep repeating the comparison to the Gestapo, she said. 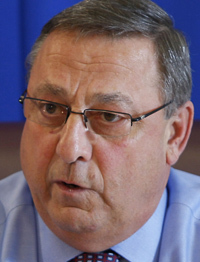 What the governor fears is that rationing under the Affordable Care Act might leave elderly people without care, and LePage had tried to convey that concern when he clarified his remarks later in Thursday’s interview, Bennett said. According to the Times Argus in Montpelier, Vt., Brock had a separate news conference after the LePage interview, during which he attempted to distance himself from his guest’s remarks. Brock did say that LePage was a friend. Congressional Republicans have made similar claims about rationing in the Affordable Care Act. The claims refer to the health care law’s Independent Payment Advisory Board, which critics say can ration care and deny Medicare claims. However, the Affordable Care Act only empowers the advisory board to make systemwide recommendations to reduce Medicare spending, not on individual cases, according to an analysis by the Kaiser Family Foundation. The analysis also said that the advisory board was designed to reduce Medicare spending, and that the board’s recommendations can be overruled by Congress. PolitiFact, a nonpartisan organization that fact-checks statements by politicians, recently deemed that a similar rationing claim made by Florida Gov. Rick Scott was false. Some opponents of the law have said the IRS plans to hire 16,500 agents to enforce the mandate. The agency has disputed that figure, saying it plans to hire closer to 1,200 employees, many of whom would build the technological infrastructure to support payments and tax credits for individuals and small businesses. LePage’s first reference to the “Gestapo” angered local and national Jewish organizations. He personally apologized to Emily Chaleff, director of the Jewish Community Alliance of Southern Maine, earlier this week. Chaleff declined to comment on the governor’s recent remarks, saying that she was scheduled to meet with LePage in person today. Ben Grant, chairman of the Maine Democratic Party, said the governor “crossed a threshold” with Thursday’s comments.